There are plenty of hotels in the Orlando area that provide shuttle busses so their guests can get back and forth from the Universal Parks – hotel property. While this is a nice service provided for free, the shuttle busses leave a lot to be desired. More often than not, the busses are very dirty because people just leave their trash behind them. There isn’t time for the busses to be cleaned between shuttle times, so unless you are on the first shuttle out, it will be dirty. Nobody wants to ride a dirty shuttle bus. You should consider quality Universal Parks – hotel transportation services. You can schedule your own pick up times and rest assured that the car will be neat and clean. Luxury Transportation Group USA offers complete Universal Orlando transportation including Universal Parks – hotel car service. There are a lot of families who end their thrilling Florida vacation with spending a few days on Florida’s ever popular Space Coast. Many of them choose to take a relaxing cruise to rejuvenate before they need to get back to the daily grind of working. Rather than drive to the area, you might want to consider getting a Universal Parks – Port Canaveral car service. This will help you to begin relaxing before you get on the cruise. Let’s face it! Nobody wants to be stressed out dealing with traffic on their vacation. Luxury Transportation Group USA provides full service Universal Parks – Port Canaveral transportation services. When it comes to Universal Orlando transportation services, Luxury Transportation Group USA is the premiere company to use. Their professional drivers will have you comfortable and relaxed on the trip. 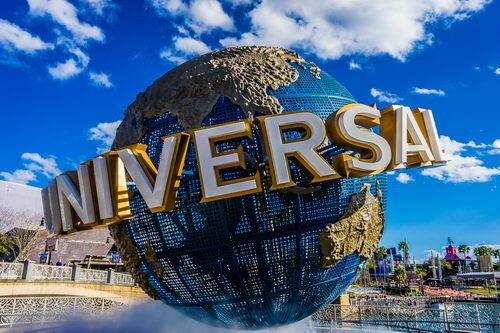 Whether you need Universal Parks – Orlando Airport transportation, Universal Parks – hotel car service, or Universal Parks – Port Canaveral transportation, you’ll be in good hands. Call 407-476-0429 to schedule Universal Orlando car services with Luxury Transportation Group USA.